Hybrid bio-digital games physically integrate non-human, living organisms into computer gaming hardware and software. Whilst such type of game can add novelty value, the positive impact of the added biological element on player experience has not yet been verified quantitatively. We conducted a study involving two groups of 20 participants, to compare player experiences of two versions of a video game called Mould Rush, which relies on the growth patterns of micro-organisms commonly known as ‘mould’. Results from self-reporting Game Experience Questionnaire (GEQ) showed that the group who played the version of Mould Rush that integrated real mould, had produced significantly higher mean GEQ scores (p < .001) on the following dimensions: Positive Affect; Sensory and Imaginative Immersion; Positive Experience; and Returning to Reality. Furthermore, results from participant interviews indicated that the slowness of mould growth was enjoyed by those who played real-mould-integrated version of Mould Rush. Contrastingly, the slowness was perceived as a negative feature for those who played the game without integrated mould. We discuss the implications and limitations of all of our findings. 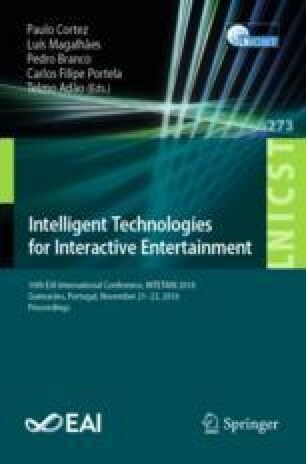 This research was supported by EPSRC and AHRC Centre for Doctoral Training in Media and Arts Technology (EP/L01632X/1).